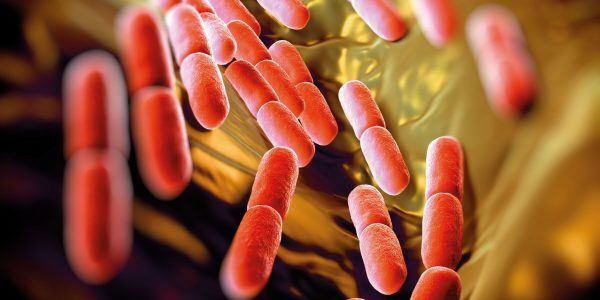 The value of strain typing during a Salmonella incident | BaseClear B.V.
A Salmonella detection at several production sites in different countries forced a large multinational to perform a root cause analysis. Fast results were essential to limit damages and preventing an outbreak. BaseClear’s strain typing team reported results within 48 hours, minimizing the financial consequences for the company. Microbial contamination was detected in in a food ingredient on four production sites in different countries. The contaminant in all cases was identified as Salmonella. 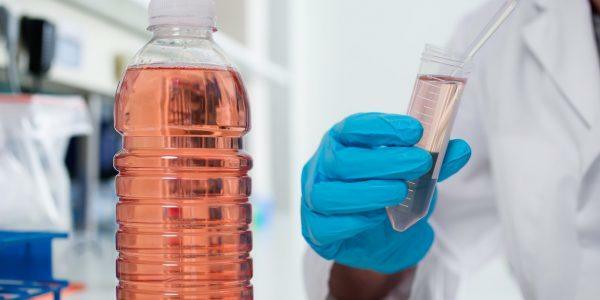 For route cause analysis, the identification of the contaminant alone is not sufficient when the same species is reported. A deeper analysis of the Salmonella species was required to allow discrimination between the species detected. For strain typing in cases of route cause investigation, two methods are most frequently used. The first is rep-PCR, which is a general method applicable for almost all microorganisms. This method generates specific band patterns per sample using PCR and gel electrophoresis. These patterns are then compared. The second method is Multi Locus Sequence Typing (MLST). This method analyses and compares the sequences of 6 or more amplified DNA loci per sample. The DNA sequences are compared to a publicly available, but moderated database. A total of 10 samples was analysed. These included 2 control samples and 8 test samples originating from the 4 locations. Both methods (rep-PCR and MLST) were applied. After DNA isolation, concentrations were measured and normalized for rep-PCR (in duplicate) and samples were run on a Fragment Analyser (Advanced Analytical). Samples for MLST were run on gel to confirm the presence of the necessary PCR products, and run on an ABI3730 capillary sequencer. Both methods showed a clear difference between the controls and the samples. The samples from the different locations resulted in an identical serotype for all samples. 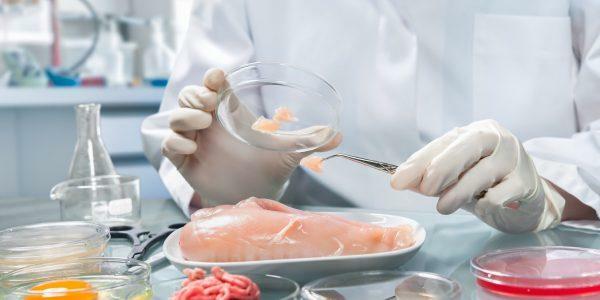 These results indicated that the Salmonella could be traced back to a raw material used as ingredient at all location. Figure 1: Results of Salmonella MLST. 7 Housekeeping genes were amplified and sequenced. 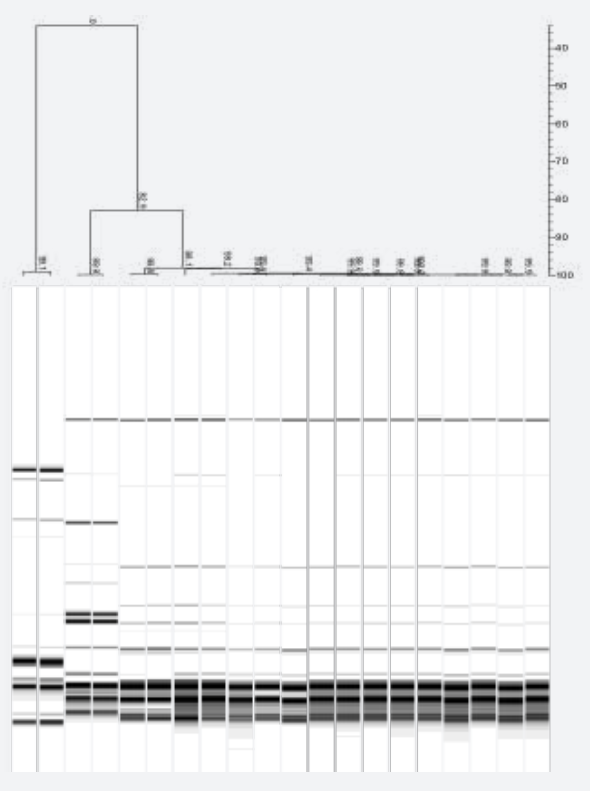 Sequencing results, ST and serotype were obtained by blasting in the Warwick Medical School Salmonella database. Figure 2: Neighbourhood joining tree diagram of rep-PCR results. Samples were tested in duplicate and analysed using Gelcompar comparison software (Applied Maths). The combination of two BaseClear strain typing services have been successfully used in a root cause investigation to identify and reveal the source of the contaminating Salmonella. Results were available within 2 days and both techniques confirmed that the source of contamination was a common ingredient used at the different production sites. The fast strain typing results helped minimise damage and only a minor recall action was needed.